Who needs pie when you can have a pie cocktail? 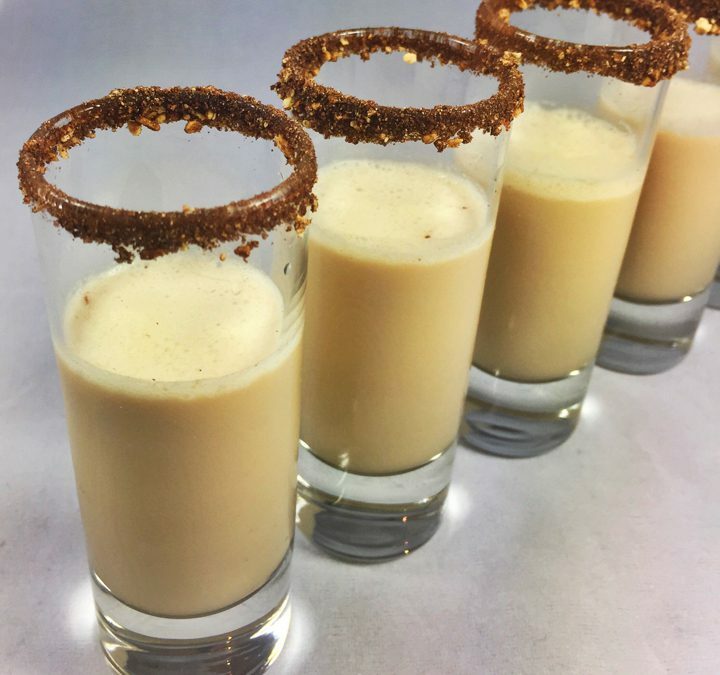 These tasty mini drinks start with the shot glass rimmed in ground pecans and sweetened chocolate. The shooters are a combination of bourbon, liquors, and cream making a delicious boozy chocolate pecan pie in a shot glass. We guarantee your guests will love this new twist on a Kentucky Derby classic dessert. In a cocktail shaker, add some ice, then the bourbon, pecan liquor, Godiva, and whipping cream. Shake for 30 seconds and strain into a liquid measuring cup. Pour into the shot glasses. Our recipe makes six shooter size drinks. * If you don’t have simple syrup on hand, you can quickly prepare it by combining equal parts white sugar and water in a saucepan. Heat on the stove, stirring until the sugar completely dissolves. Then cool the liquid to room temperature before using.